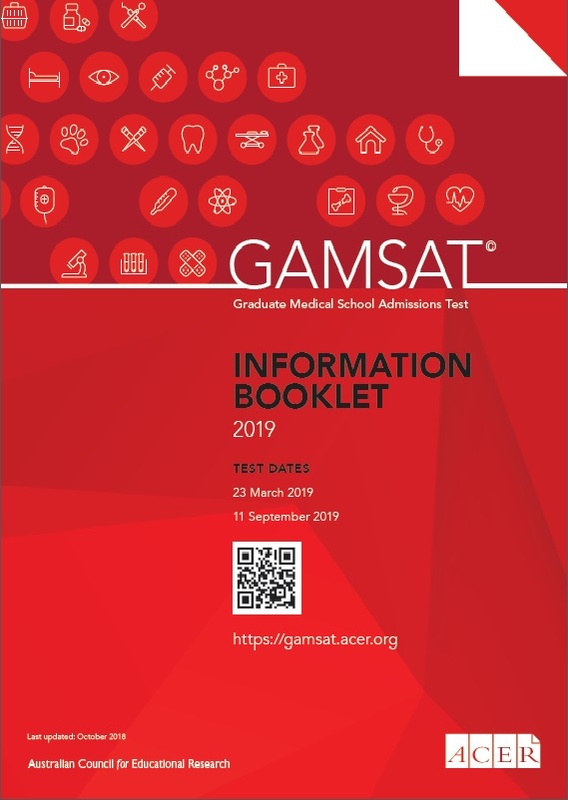 ACER produces the only official GAMSAT test preparation materials. There are currently two types of preparation materials available: two automatically scored online written communication practice tests, and five publications in the form of e-books. Each of the Online Written Communication Practice Test and the Online Written Communication Practice Test 2 allow candidates to submit two pieces of writing addressing two specific tasks. The pieces of writing are then automatically scored and a percentile band and a score range are provided on completion of both tasks. To enable automatic scoring several hundred responses to the tasks were marked using a criterion-referenced analytical marking guide. Responses were hand marked (triple marked and adjudicated where necessary) using the GAMSAT marking guide. The scores were Rasch analysed and a measurement scale was calibrated. Finally, the scores were loaded to the automatic marking system to create a computer model that replicates manual scoring and can ‘mimic’ the way markers assign scores to the tasks. Practice Test, Practice Test 2 and Practice Test 3 are each equivalent to a full test and each will take approximately 5.5 hours to complete under exam conditions. Answers are given for all questions. Sample Questions and Practice Questions are shorter publications which contain the same balance of question types found in a full test. Answers are given for all questions and suggested worked solutions are provided for some. Practice Questions is included in the cost of the GAMSAT registration fee. Though similar in format, the e-books contain different selections of material and are designed to give examples of the types of questions asked in the GAMSAT test and of the skills and knowledge tested. Please note: The content of the preparation materials does not change from year to year unless otherwise specified. In order to purchase the preparation materials an online account is required. This is not a registration for the GAMSAT test. 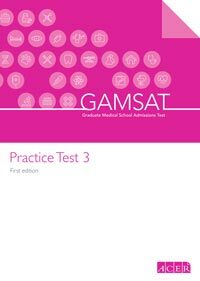 The preparation materials can be purchased at any time with or without a registration for the GAMSAT test. Prices are listed in the three GAMSAT currencies: Australian Dollar($), Pound Sterling(£) and Euro(€). The preparation materials will be accessible via the online account as soon as the payment is received successfully. All GAMSAT preparation materials are copyright works and protected by copyright law both in Australia and outside Australia. As a condition of purchasing any GAMSAT preparation materials buyers will be required to complete a declaration expressly confirming their acceptance of the limited licence granted to them to access and use the specific GAMSAT preparation materials. Except as otherwise required by law, or as otherwise provided in the GAMSAT Information Booklet, no refunds will be given for the purchase of any GAMSAT preparation materials.